Millie Creperie was a secluded section in Kensington Market that caught my eye during many of my visits there because of their beautiful display of colourful crepe selections they had displayed on a poster sized menu right on their window. 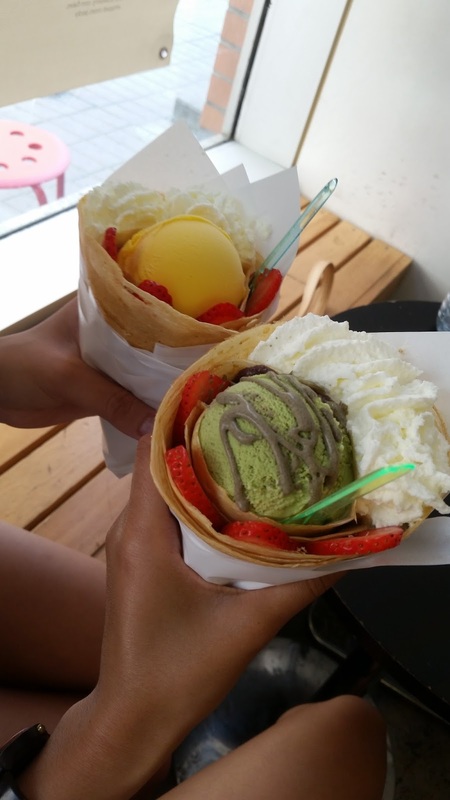 One day, I decided to make my visit to Millie Creperie with my close friend, who is a pretty big dessert fan herself! Millie Creperie combines the French favourite crepes with the Japanese inspired ingredients to create customized desserts for all sweet lovers alike. 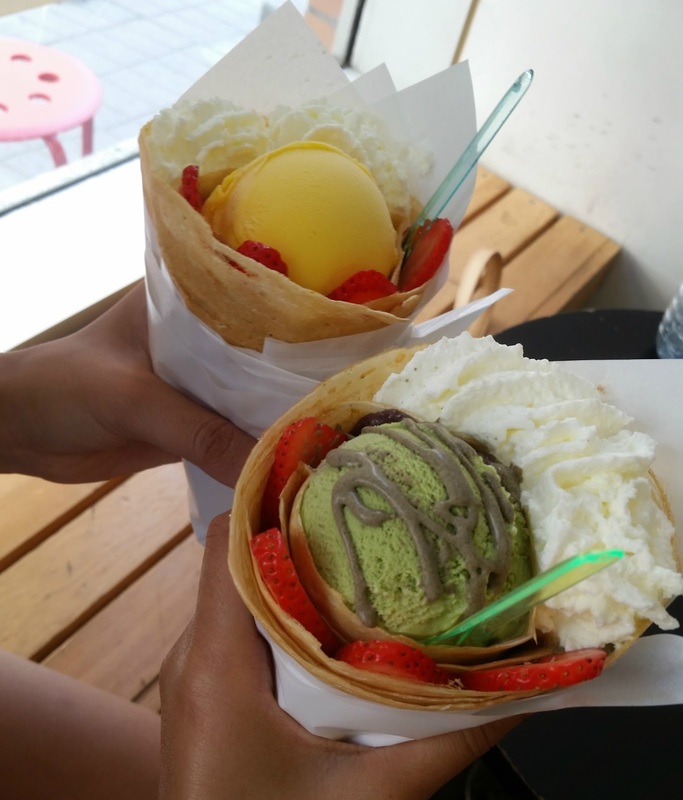 The crepes are thinner, crispier and rolled into a cone for easy handling and enjoyable eating experiences. Ordering went very smoothly – a lovely lady greeted us at the cashier and we made our orders swiftly, paid and were handed a number to wait for our order. My friend got her a Mango Twist crepe – which had a scoop of creamy mango ice cream centered in a freshly made crepe stuffed with strawberries and whipped cream. I ordered their Japanese Special Crepe which is a classic Japanese combination of green tea and azuki sauce (or red bean paste). This dessert was the perfect amount of sweetness, and was served with whipped cream, strawberries, house made matcha sauce on top of an amazingly smooth green tea scoop of gelato. Millie’s was a little bit pressed for space; my friend and I were lucky to get a nice window seat where we enjoyed eating our ice cream with little mess (well, Christina had a clean eat, for me it started getting messy at the end!). If you end up making your visit to Millie during prime time (hot afternoons), be prepared to walk with your ice cream crepes, or come at odd hours to grab seats. Regardless, it was a satisfying excursion for a quick, fresh and sweet dessert.